If we've been a little quiet lately it's because we've been preparing for a new arrival! That's right-- we will be welcoming a new (two-legged) addition to our family in February! While we do plan on continuing to blog about the latest and greatest for your four-legged bestie, you amy notice that posts are little bit fewer and far between as we get accustomed to our new schedule. 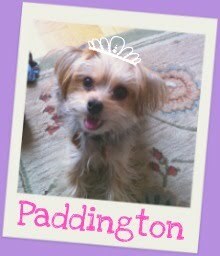 If you're worried about suffering from Paddington withdrawal, make sure to follow her on Instagram at @MissBarkzilla! Thanks for all of your love and support!